Buzzard Coulee Meteorite | Buzzard Coulee Meteorites For Sale - The Meteorite Exchange, Inc.
On November 20, 2008 a bright fireball was observed traveling across Alberta, Saskatchewan, and Manitoba. The meteor was captured on various video cameras including the all-sky camera. Many people heard the sonic booms from the individual meteorite fragments. Meteorite hunters and researchers began the meteorite hunt resulting in a few hundred Buzzard Coulee Meteorites being found. Our Buzzard Coulee Meteorites were legally exported from Canada under the Cultural Property Export Permit Reference No. 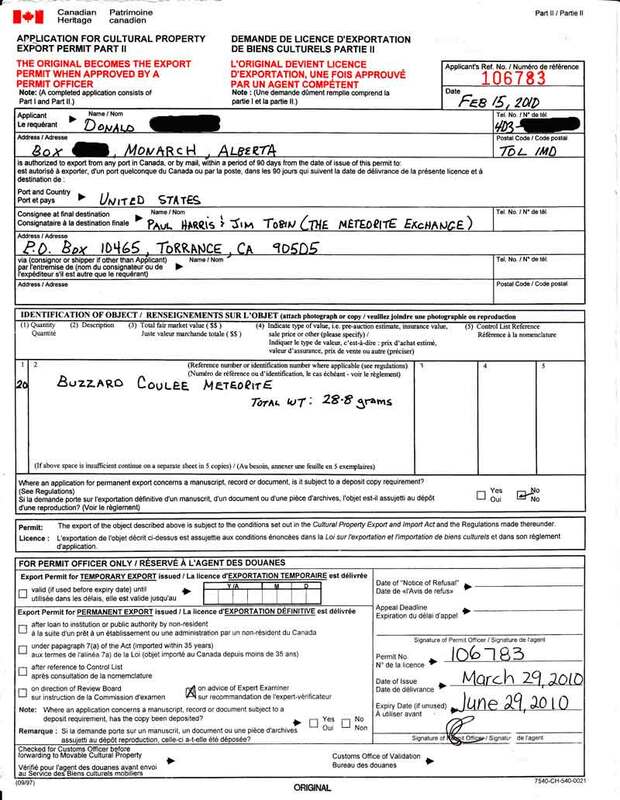 106783 issued on March 29, 2010. Nice affordable small individuals of Buzzard Coulee meteorite from Saskatchewan, Canada. These stone meteorites have a nice black fusion crust indicating they're from a recent meteorite fall.